QSR stands for Quoted Search Results which is a term used to represent the exact number of web results that are present on Google for any exact search phrase. Suppose you are searching for the term "How Does Seo Help" on Google. 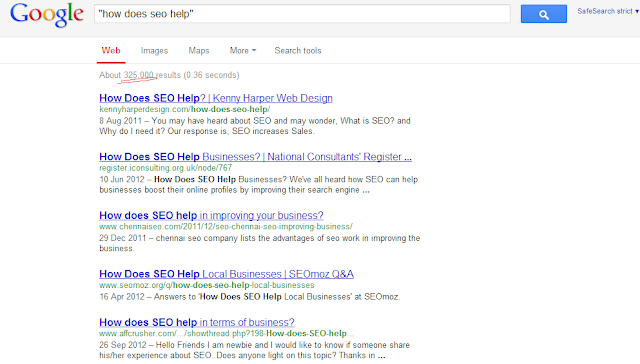 The total number of web results displayed are 325,000, however this is not an accurate count of the total number of web pages present on Google for this query. If you dig deeper till the last shown results, you will see only 365 results. 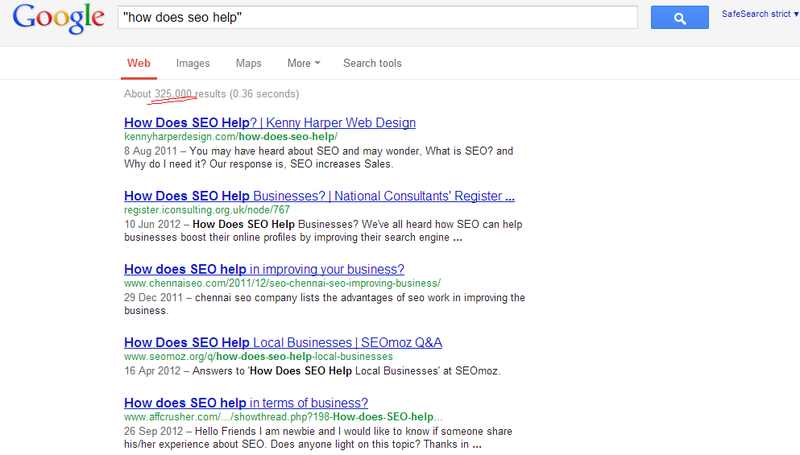 This is the accurate count of the number of web pages present for the query "How Does Seo Help". The total number of exact search results changes from the first page to the last page because Google digs deeper and deeper into the search index and presents the exact number. Here is a video by Matt Cutts explaining the reason for change in the number of search results when we dig depper in Google. How to Find QSR Easily? You can use Jaaxi to find accurate numbers of QSR as well as estimated amount of traffic that you will get from the targeted keywords. 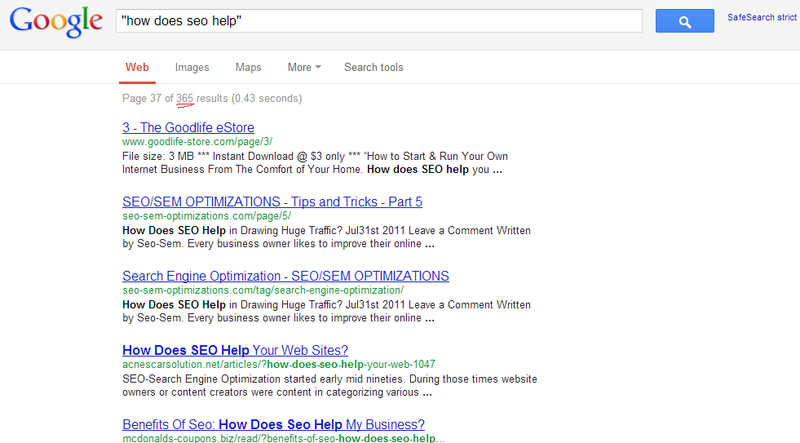 Hope this helps in clarifying the concept of Quoted Search Results and how to find accurate web results easily.